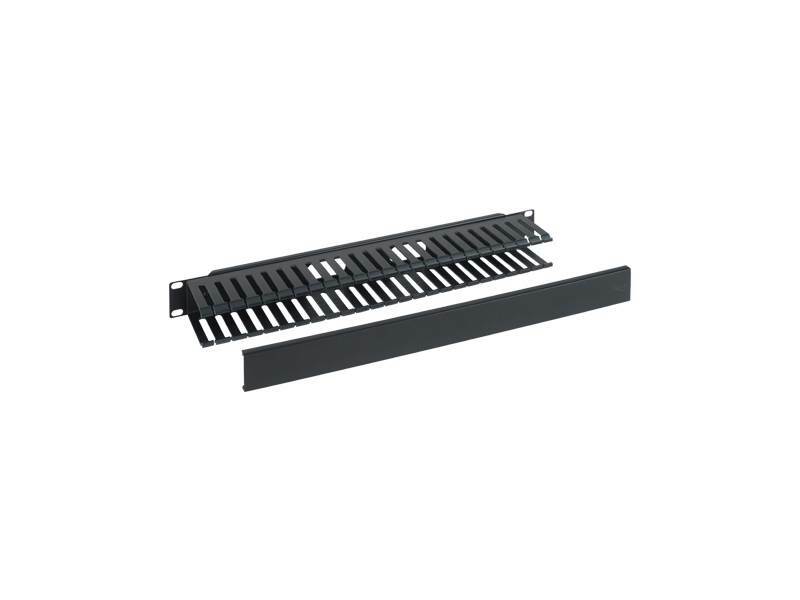 The 1 RMS finger duct panel features 24 slotted ducts designed to provide horizontal cable management on the front of a rack. Includes #12 mounting screws. I have some cabling that comes from the back side of the rack and the holes in the back of this product help keep them hidden as I route them up to my network devices. This product looks exactly like their ICC's other cable management products without the access holes in the back. Great compliment to the items I already owned.